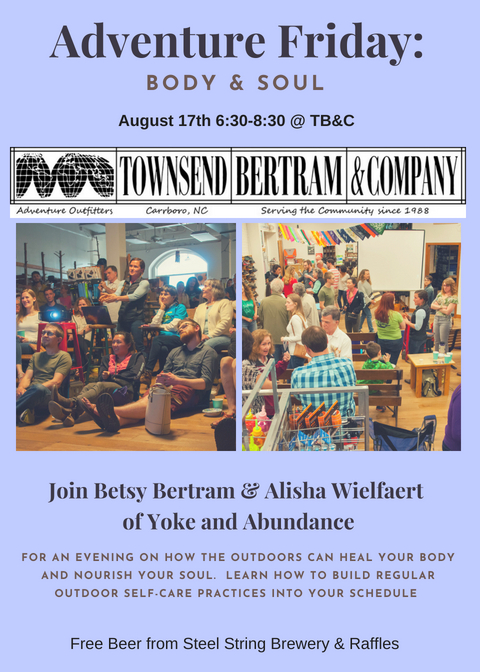 Join us for Adventure Friday Body & Soul with Betsy Bertram and Alisha Wielfaert from Yoke and Abundance for an evening all about how the outdoors can heal your body and nourish your soul. Learn how to build regular outdoor self-care activities into your schedule. Refresh and renew with the Carrboro community at TB&C.